Have you witnessed a plumbing failure recently or a flooding event that left your home reeking of water damage? If so, there is a good chance that it is also teeming with mold. Mold forms wherever there is moisture and can multiply at an alarming rate within 72-hours. However, the mold is not just an eye sore in your house, but also poses a serious health risk, especially for people with breathing disorders. It is also very bad for your walls’ structural integrity that can get affected by mold formation. These dangerous guests living in your basements, attics or insides of the wall can infect your property without you ever knowing about it. But you can prevent the situation from going bad to worse by calling Miami Gardens Emergency Restoration. 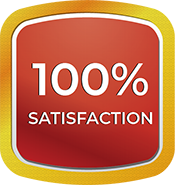 Our mold remediation service is available round-the-clock in Miami Gardens, FL area. The thing about mold is that it is not always visible. Usually they appear as ugly dark spots on your walls, ceiling, floor, wall cavities etc. These parasites thrive best in a damp environment and feed off organic material such as wood or layers on drywall. Molds can produce allergens that can be really harmful for people with respiratory conditions. The first step in controlling mold growth is cutting off the source of moisture. This is why you need to call our mold mediation experts at 786-350-3360 because they always know the right thing to do! 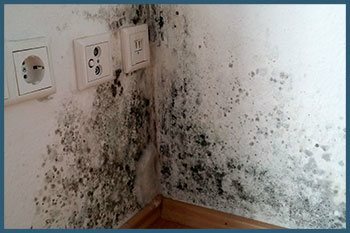 Did you know that mold can only thrive in certain conditions? When they have access to water and food, they can grow rapidly. However, to perform mold remediation, you need to know the science behind their existence. This is why Miami Gardens Emergency Restoration is such a sought-after service provider! No one can ‘remove’ mold completely, since they’re ever present in the environment, you can only control it and prevent it from growing. We know how these spores behave. We have trained our experts extensively about the remediation process that involves elimination of its source to stem its growth. Thereafter, our technicians provide restoration services to repair the damage done by the pesky fungus. We don't believe in a one size-fits-all approach. 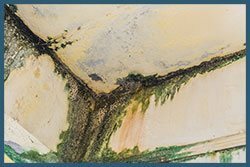 All mold damage cases in Miami Gardens, FL area are different and we apply remediation methods to each after a careful analysis of the situation. The key to our success lies in complementing the cause with tools and correct treatment methods. This is the best and the only way to control a mold situation at your property. Detection: We employ advanced techniques to detect invisible mold. Remediation: Our experts use state-of-the-art methods such as UV lights and Thermal cameras, to detect and eliminate mold growth. Thereafter, we clean up and disinfect the area to prevent further growth. Odor removal:We also use sophisticated odor removal techniques to remove the foul smell left behind by mold. Prevention:We perform complete deep moisture removal procedure to ensure that mold doesn’t reappear. Don't live with mold when you can successfully eliminate its existence from your home! Call us today at 786-350-3360 and let our mold remediation experts assess your mold situation.